Ok guys I HAVE to vent to you about movies based on classic books that are supposed to be so good, and miss so much of what made the books amazing. Namely the latest version of Jane Eyre. If you've seen the movie, you probably thought "There was a lunatic in the house??" Yep my friends. In the book, Jane knows there's a secret at Thornfield that she's purposely being left out of, and she hears deep maniacal laughter on occasions and is once visited by the lunatic in her own chamber where the madwoman tears her veil in two pieces and looks at Jane in the face with such loathing and anger, it causes Jane to lose consciousness. Rochester is so secretive and Jane loves him so that she accepts (sort of) the excuse he makes for what he claims is a visual produced from an overtired mind. The lunatic just kinda appears in the newest movie. There's no suspicion, or fear before you finally discover her in the third story. And she's NOT a docile creature, or pretty!! She's crafty, cunning and destructive. She tries to burn Rochester in his bed for crying out loud! The scene just shows her slapping him in the face and spitting at Jane.... wow.........I'm scared now..... Fourth, the freaking ending! The lunatic decides to burn the entire house down. And she succeeds. After Rochester makes sure everyone gets out, he goes back for her, I mean she IS his wife and he's responsible for her, she ends up jumping off the roof and dying (naturally). Well while he was trying to get her, he falls through debris and beams and such. As a result, he loses his sight and one of his hands. As devastated as he is by Jane's running away, he lets himself turn into a hermit of sorts and when Jane returns, he has been humbled and changed so much that she now loves him even more. 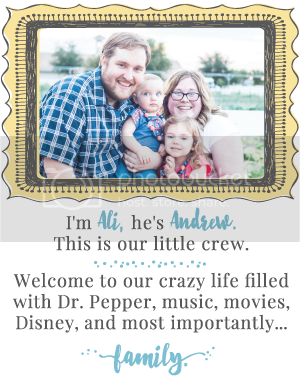 And now that she can actually be useful to him (her words, not mine) she marries him finally and they live happy together. Now there's of course more in the book, like an epilogue of sorts which they don't NEED in the movie. But seriously? Again, THIS is all they did to him? Just made him blind!? No real character development, no damage other than "the fire was too bright for him"..... I wanted to throw things at the TV. Now I will say that I have YET to find the PERFECT version of this book as a movie but honestly I'm not expecting to. I know I'm never gonna find that perfect version where everything is there, DUH! It's a big book to cover in 2 hours, BUT I do think that a little more attention to some of the details would not have been misplaced.... I DO however think that the actors/actresses acted it wonderfully in what they were given! 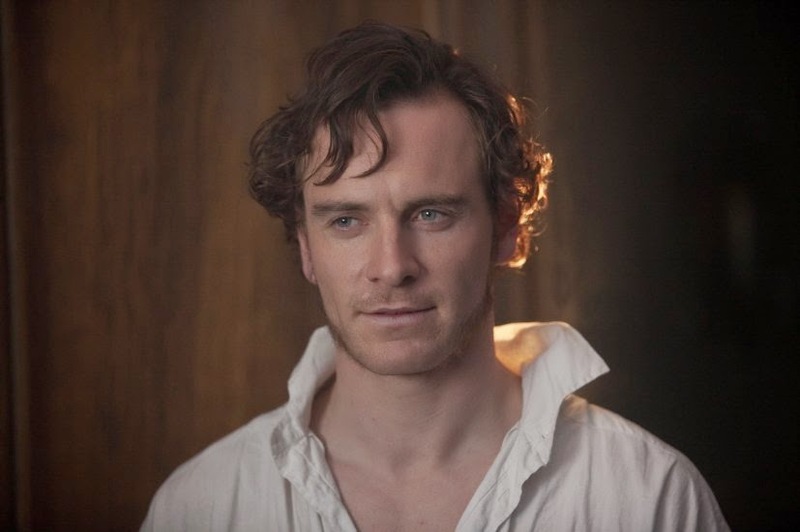 Like Fassbender was AMAZING as Rochester (other than being too pretty), Mia Wasikowska was amazing as Jane! What do you think? Have you ever found a "perfect" version of a book turned movie that you just loved? 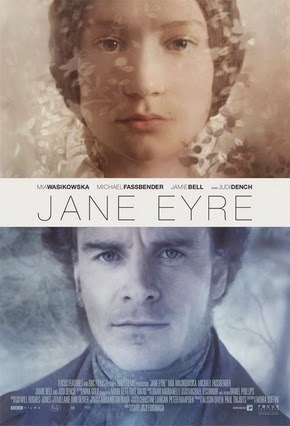 I haven't seen this version, and have only read excerpts of the book, but I really liked the A&E version of Jane Eyre! Suuuper awkward kissing scenes but...I liked the rest. Haha. Have you seen that one? Did you like it?